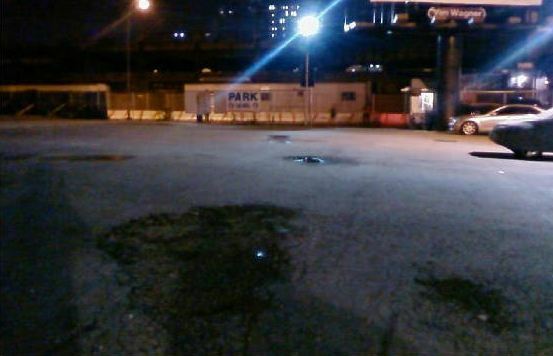 Late at night in a desolate parking lot on the west side of Manhattan, a false sense of security develops due to the spotlight blasting away at any dark pockets. However, at the far side of the lot outside of the fence, several shadowy figures can be seen lurching about looking for a way in noticing the broken-down cars inside and their terrified passengers. They appear as silhouettes in the distance, but are still menacing and the light provides no comfort. 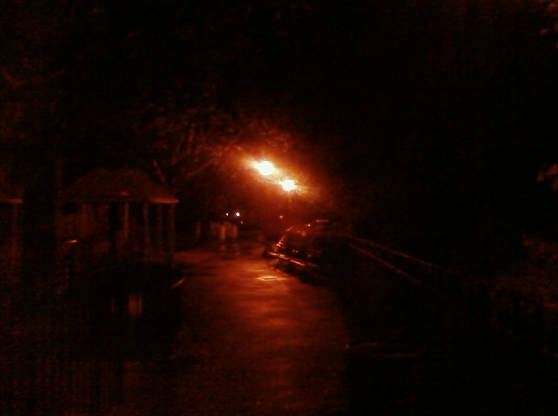 After hours, this small children’s park is not very inviting. The shadows that can’t be halted by the two dim streetlights are everywhere and what’s in the darkness is anyone’s guess.